The app is significant for WhatsApp because it’s one of the few ways the Facebook-owned service monetizes itself directly. Although businesses can respond to customers for free if they do so within 24 hours, Facebook will charge them after this initial period. Last year, a WhatsApp executive said that the service would also start showing ads to general users within its Status feature. 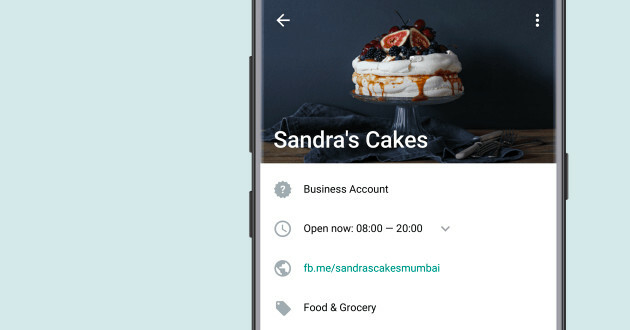 Along with being able to reply to customers directly, WhatsApp Business has other features that are tailored toward companies, including away messages, greeting messages, and the ability to list info such as opening times and addresses. The app is now available in a limited number of countries.